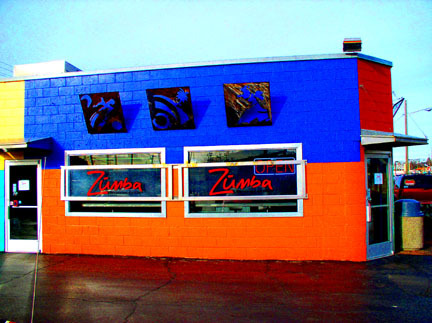 ZUMBA, located on the northern edge of Royal Oak’s popular downtown, is a small restaurant that quickly developed into a favorite place. When approached by the owner, the building had stood vacant for several years. Our charge was to create a cool TEX-MEX venue with seating, carry out, and kitchen in an 1100 square foot building that needed lots of work. Industrial materials, bold color and graphics, efficient planning, and a great client that serves excellent food aligned to make ZUMBA a great success.